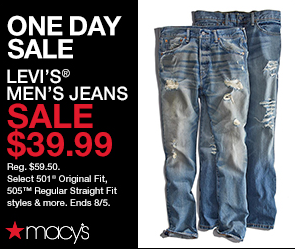 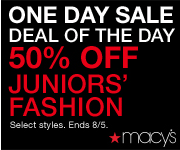 Keep in mind, these are just a handful of the Daily Deals available during this month’s Macy’s One Day Sale. 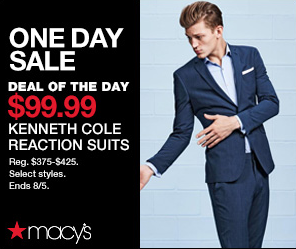 Not only will you find the deals above plus many more, Macy’s has also dropped their free shipping threshold to just $25, making it even easier to shop the August One Day Sale. 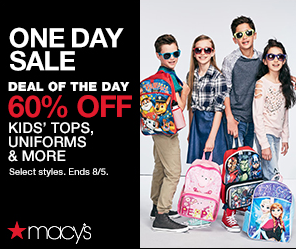 So regardless of whether you’re shopping for back to school, a late summer wedding or just an update to your wardrobe, you’ll want to shop early to take advantage of the best styles and sizes.